Cristiano Ronaldo has reportedly told Real Madrid the four players he wants the club to sign in the summer transfer window. Real are expected to be subject to a major overhaul this season, particularly with club president Florentino Perez publicly venting his anger at their woeful La Liga title defence. The Spanish giants are currently 19 points behind bitter rivals Barcelona and are battling for a Champions League spot after a poor season domestically so far. 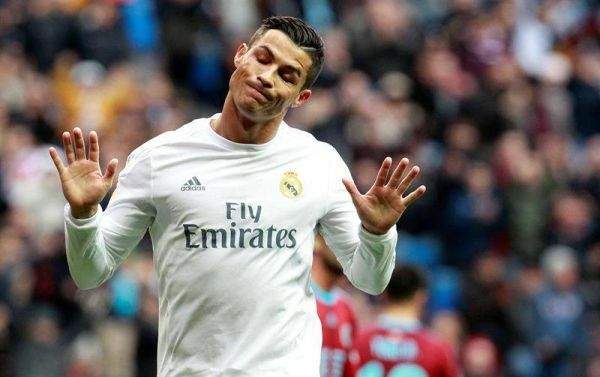 Boss Zinedine Zidane looks a certainty to be axed in the summer and according to Diario Gol, Ronaldo has urged the club to sign a quartet of players he believes will make them La Liga title contenders again. Manchester United stopper David De Gea is first up, while Ronaldo also wants two of Marquinhos, David Alaba or Leonardo Bonucci to boost Real’s back line. The Portuguese superstar is, however, said to be against the addition of either Neymar or Harry Kane and would instead prefer to see his fellow countryman Goncalo Guedes, who has impressed at Valencia, boost Real’s attacking ranks.